Global Irminger Sea Mobile Assets include two types of gliders that sample the area around the triangular mooring array. An array of 3 Open Ocean Gliders (GLnnn) survey within/between moorings, while two Global Profiling Gliders (PGnnn) survey the upper water column above the Irminger Sea Apex Profiler Mooring. 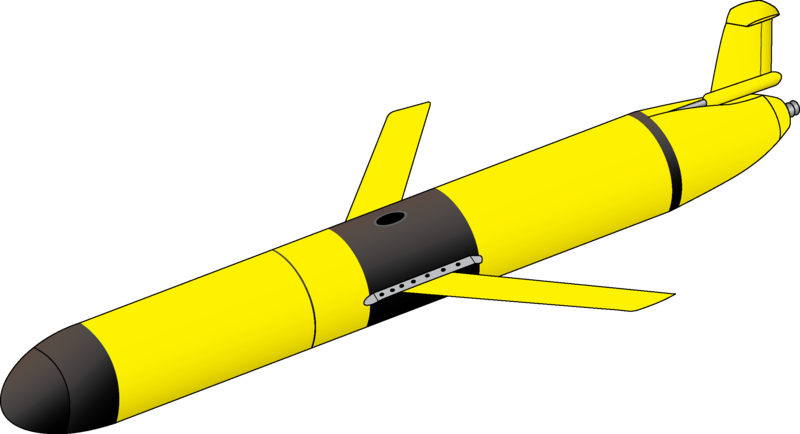 Gliders are buoyancy-driven mobile assets that travel along saw-toothed transects, penetrating the sea surface and diving down to a maximum depth of 1,000 meters. They change their buoyancy by drawing in water through their nose making their front end heavy causing them to sink through the water. To float back up to the surface, they push the water out. Their wings provide lift allowing the gliders to move forward as they change depth. Due to their efficient design, with no need for propellers or an engine, gliders can be deployed for several months at a time.